This rectangular ottoman will add a touch of comfort to your living room. 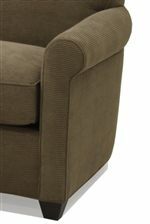 The plush rectangular welted top cushion offers a cozy spot to rest your feet, supported by sleek tapered wooden block feet. This ottoman is made in America with high quality materials and construction techniques. The 0491 Rectangular Ottoman with Block Wood Feet by McCreary Modern at AHFA in the area. Product availability may vary. Contact us for the most current availability on this product. 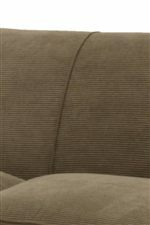 The 0491 collection is a great option if you are looking for furniture in the area.